For more than 20 years, The Janes Company has fulfilled the heating needs for Western Washington residents, installing heating systems in custom homes, multifamily dwellings, and commercial buildings from Bremerton to Bellevue. Located north of Seattle in Mukilteo, Washington, we were the first major company in the area to provide radiant floor heat products and installation services. Today we're proud to be the state's largest installer of radiant heating systems in the greater Puget Sound area and beyond. We've grown because we deliver a high level of customer satisfaction, and the referrals generated as a result. We provide the absolute best service in the radiant heating system business by staying on schedule, communicating with our customers, and providing knowledgeable direction. Whether it's a new build or a remodel, when it comes to heating, you need your system to provide one thing: comfort. And that comfort needs to be efficient and cost-effective. Radiant floor heat is the absolute best option with proven superior comfort and energy savings of up to 40%. We truly believe in the Infloor Heating System, that's why we're the largest Infloor installer in Washington. 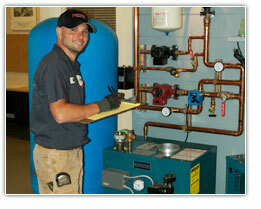 You can find our expert installations in residential and commercial buildings all across the Pacific Northwest.